Most people with student loans, especially government backed loans, are familiar with the concept of forbearance. When a person owing student loans gets forbearance on the loans, it means that the person does not have to make payments, or only has to make reduced payments for a set period of time. Not many people realize that forbearance can also be applied to a mortgage loan if the mortgage lender agrees to it. Ordinarily, when a person misses payments on a loan, or only sends in partial payments, the person can be considered in default on the loan. When the debtor is in default, the creditor who is owed the loan can start legal proceedings to force the debtor to make payments on the loan. However, if the creditor agrees to forbearance, it is as though the clock stops for purposes of considering a person in default. As long as the debtor makes the required lower payments, or otherwise abides by the terms of the forbearance agreement, the creditor does not start those legal proceedings. Forbearance is best if the financial hardship that is threatening the ability to make payments is temporary or short term. Mortgage lenders may be more likely to agree to forbearance for borrowers who have made payments on time in the past, and who can demonstrate that a reduction in income is temporary. Forbearance does not forgive the loan owed, late payments, or missed payments. At the end of the forbearance period, the mortgage lender will expect full payment on future payments, and for the debtor to make payments on the payments missed during the forbearance. There may also be other fees and interest associated with the forbearance. The overdue payments may be expected as a lump sum, or added to regular mortgage payments incrementally over time until the back payments are paid off. If the temporary hardship goes on longer than the homeowner expects, the homeowner needs to have a conversation with the mortgage lender about a possible extension. This will keep the homeowner from being in default on the loan. Extensions may be allowed, however, if the temporary problem has become permanent, it is better to forego forbearance and consider the other options. If the homeowner thinks or knows that the financial problem is long term, maybe because it is caused by a serious illness or disability, then the homeowner can pursue other options. Refinancing the loan or looking into other loan modification options can be ways to deal with the situation. There is also the possibility of selling the house in order to pay off the loan, including through short sales. If you are experiencing short term or long term financial problems, it is important to address the possibility of missing your mortgage payments and facing foreclosure. 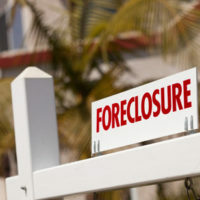 In order to ensure you are handling the situation in the best possible way, it is important to consult with an experienced foreclosure attorney. Contact Louis S. Schwartz and his team at ConsumerLaw Pa.com to speak to a Philadelphia foreclosure defense attorney for more information.